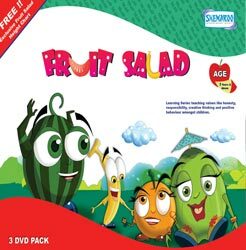 This series features lovable and cute characters such as Benny the Banana, Esbee the Strawberry, Perry the Pear, Coco the Coconut, Pina the Pineapple, Walter the Watermelon, Chica the Chikoo, Miss Orange and Miss Apple who are friends and neighbors. They teach the virtues of Harmony and that Tolerance towards all is the best way to live. They have fun together while advocating creative thinking and positive behavior! The Learning: Fruit Salad is an episodic learning series about a bunch of fruits living together in a beautiful orchard. It entertains as well as imparts valuable lessons to children teaching them moral values like patience, friendship, sharing, responsibility and honesty. Molly is a cute 6 year old girl who loves to play ‘teacher-teacher’ with her 6 favourite soft toys: Cindy Doll, Sandy Soldier, Bruno Bear, Doggy Pups, Bunny Bugs and Monty Monkey. One night her mother stops her play and strictly puts her to bed. Still wanting to play, Molly goes to bed unhappy. 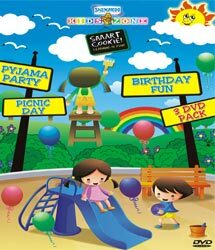 To make her wish come true, that night her favourite toys came to life in an animated form to wake her up and take her to Toyland where they play, sing, dance, learn and teach each other lots of fun rhymes and songs. The Magician, Bruno Bear uses a Magic Mirror and an Hour Glass to keep track of their return to the real world. As they hear Molly’s mother’s footsteps through the magic mirror, they all run back home before the last grains of sand fall from the hour glass. Once back safely they bid Molly good night promising to return for more fun. 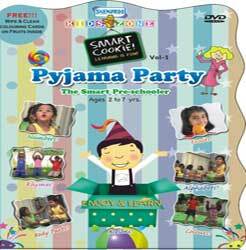 Synopsis Smart Cookie – Vol 1 Pyjama Party. 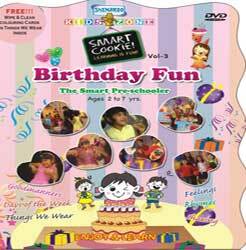 Nine smart cookies have an over night get-to-gether at their friend Siya’s home. They play, sing, dance to the tunes of various rhymes, eat yummy food, sleep, get-up and learn with Sia’s mother who entertains and teaches them all along. Smart Cookie - Vol 2 - Yay! Yay! It’s Picnic Day! Jasu and his friends are getting ready for a picnic in the park. Wanna join along? Get on board the Smart Cookie! picnic bus for a day of frolic and fun. Play games, take turns, watch ant hills, fly kites and dance along as you learn important pre-school fundamentals like shapes, vegetables, sharing, and rhymes. 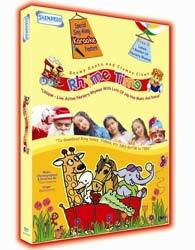 All this and more reinforced by YooHoo, a wacky puppet who will delight the little ones. It’s Kavya’s birthday! Siya and her friends throw Kavya a Surprise Birthday Party! .Let’s join in for the cake, balloons, games and gifts! And wow, there’s even a surprise guest! FUN! FUN! PARTY FUN! 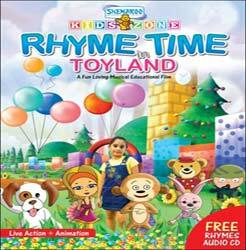 Dance and party along as you learn rhymes, days of the week, things we wear, feelings, table manners sharing and more.